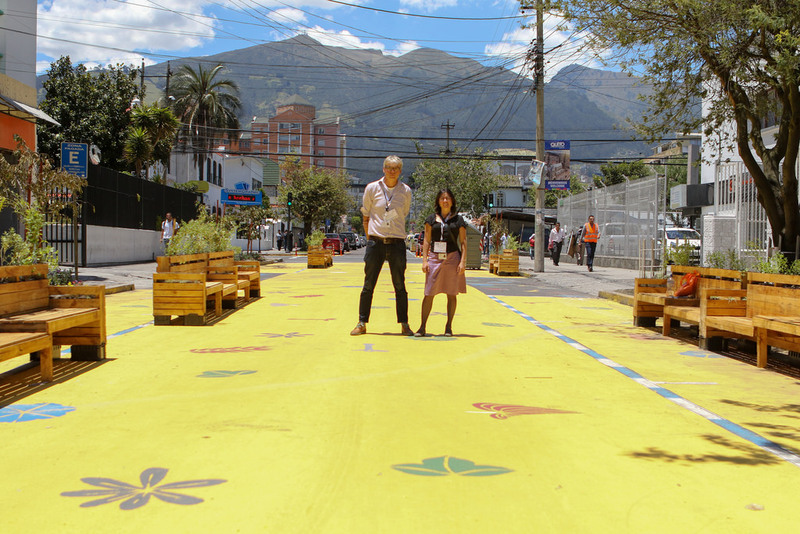 With an awesome tactical urbanism project in Quito the Human Cities Coalition was launched. 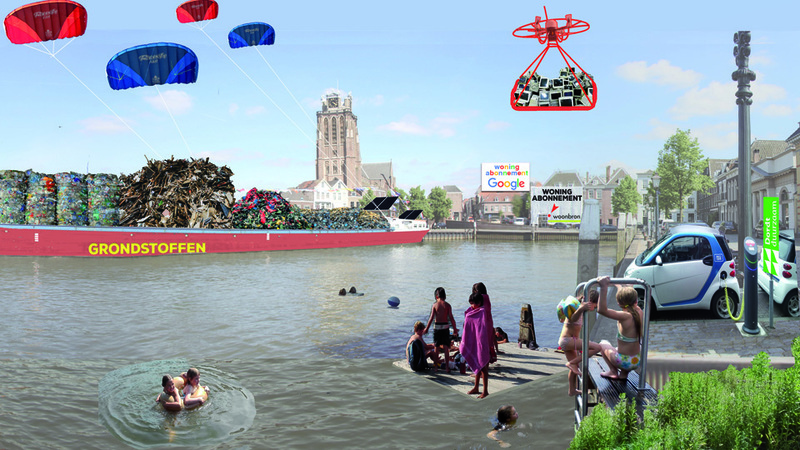 The Human Cities Coalition is initiated by Akzo Nobel and is a collaboration between the Dutch government, private companies, NGO’s and universities to improve the live in cities. The UN Habitat III conference in Quito (October 2016) was the place to launch this new initiative. We made up a plan. Conferences take over the city like a grasshopper and the day after the city is empty and citizens hardly know what happened. This shouldn’t be the case and especially not at the UN Habitat II conference that was all about the future of urbanization. We decided not to make an exhibition about our success, but to change a piece of city in reality and show the good and bad experiences. 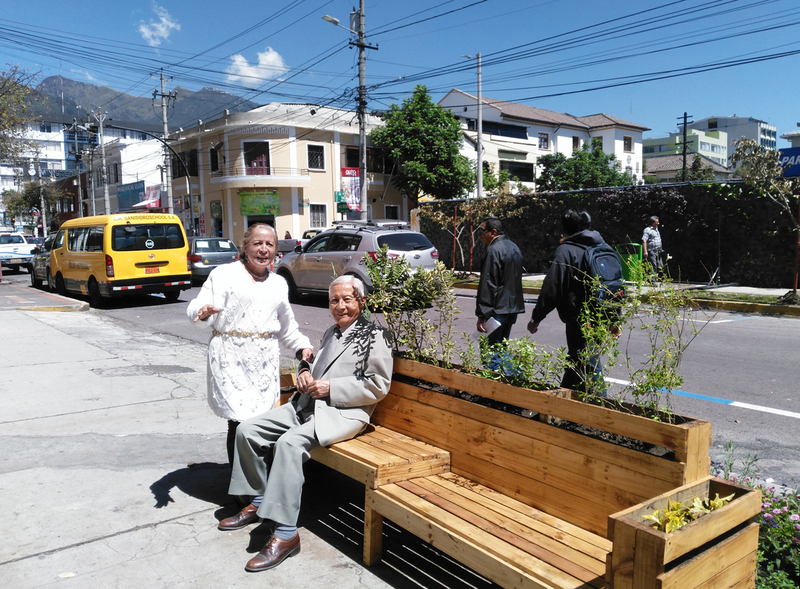 The project was a reason for visitors to stroll around the city and the citizens of Quito understood better what they were talking about behind the high fences of the UN. We also wanted to leave a legacy to the city. The physical legacy was the new designed street. 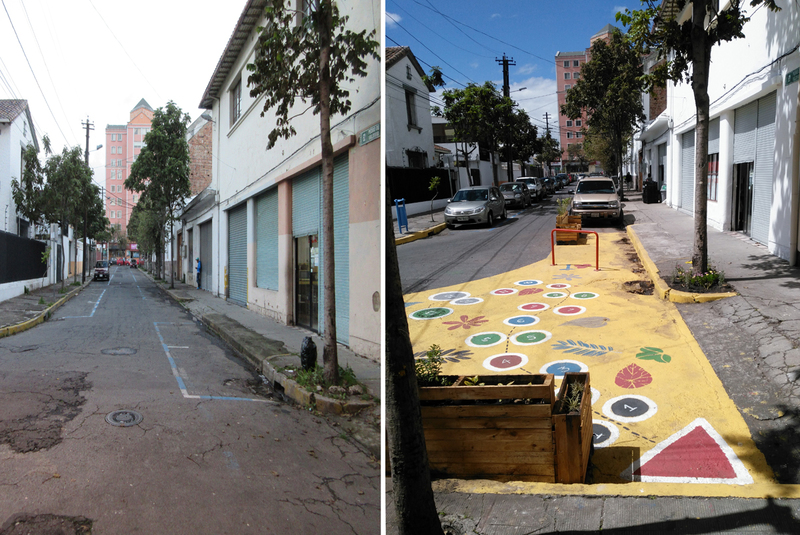 The social legacy was a better social cohesion in the neighbourhood and we opened Fabrica Ciudad; a city embassy of Pakhuis de Zwijger to connect city makers in Quito. Our project was selected for the Habitat Village and part of the official program with visits of Joan Clos and Peter Thompson. The Ruta de la Experiencia (Experience Route) started by questioning the local citizens and understand their needs. 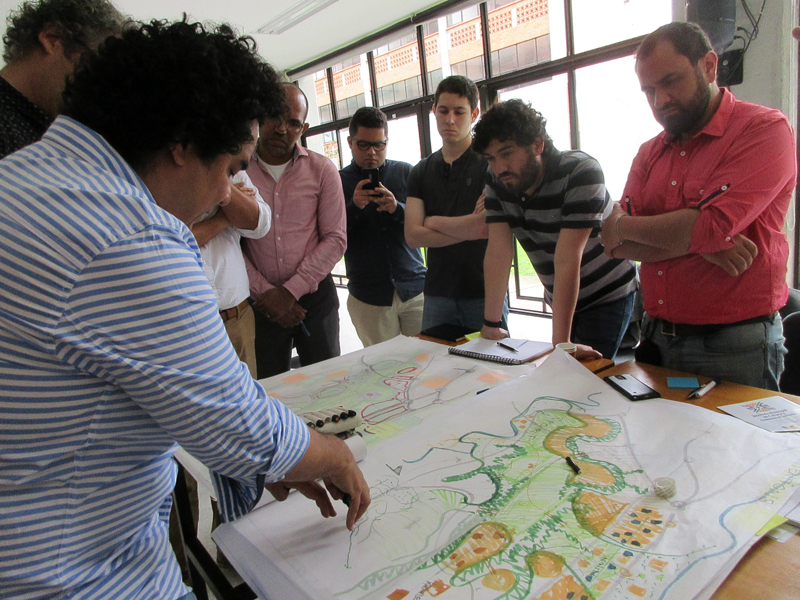 Together with Inge Kok Postma of the Human Cities Coalition, we went four times to Quito to find a location, involve the citizens, make the local administrator enthusiastic, organize the permits and find local contractors and volunteers. With all the wishes and ideas in our mind a concept was made to change the street temporarily and permanent. The members within the Human Cities Coalition were asked to contribute to solve the local issues. 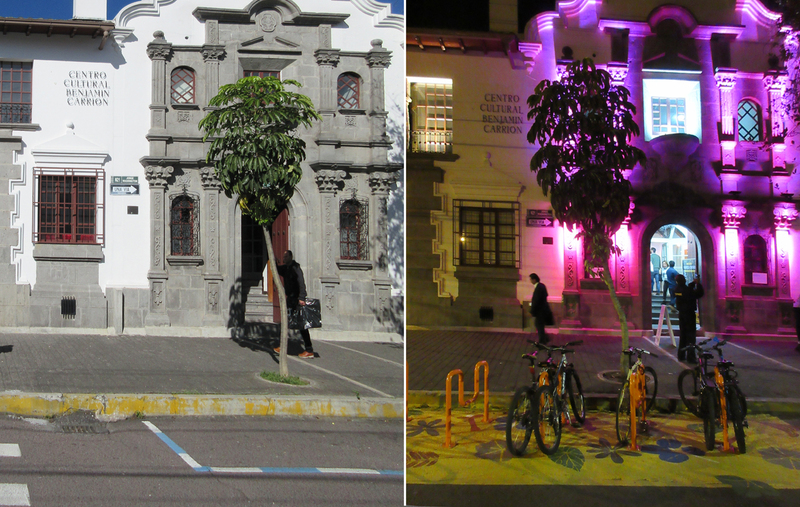 – We closed a street, painted it and suddenly Quito had a new large square in its centre. The benches were a great place to relax and the newly planted flowers and trees gave the square a cosy atmosphere. The yellow paint had prints of the native plants that used to grow in this garden city neighbourhood. People didn’t dare on the first day to walk on the square, but later on in the week it became busy and music groups started to play. The municipality of Quito decided to close the street forever and make the square permanent; the mayor even signed a petition to make this happen. 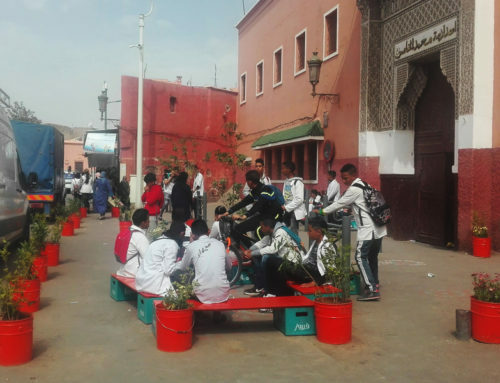 – Greening the streets excavating all the concrete and plant flowers and trees. More than 200m2 of flower beds and 30 trees were planted by volunteers of airline KLM and with support of Arcadis, Alliander en KPMG. Maintenance is done by the neighbours and the recently opened community garden. 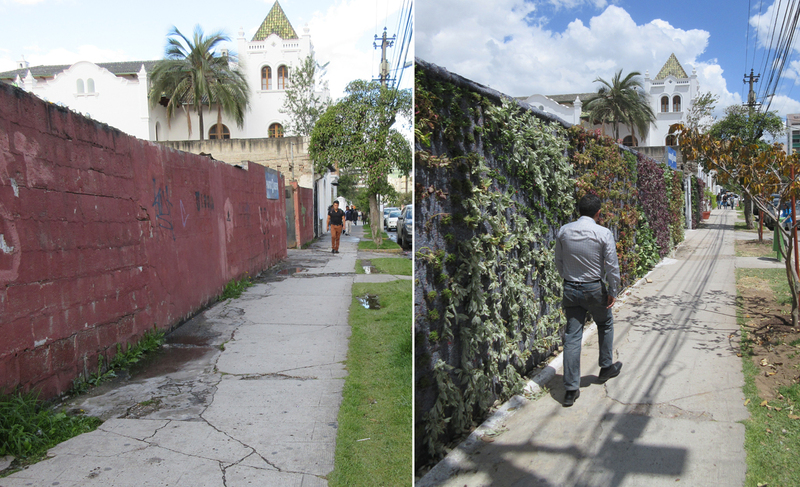 The public space is improved by a vertical garden that replaces one of the most ugly walls of Quito (supported by Akzo Nobel Special Chemicals) and painting of school kids. – New places to meet, relax, play and sport were created along the street. Stadswerk helped to transform a “dead corner” into new playground. Parking lots became new mini-parks and terraces for the restaurants. – To increase safety all the street lights were replaced by Philips Lightning; dark streets turned bright at night. Philips also illuminated the historic cultural centre Benjamin Carrion, home base of Fabrica Ciudad. 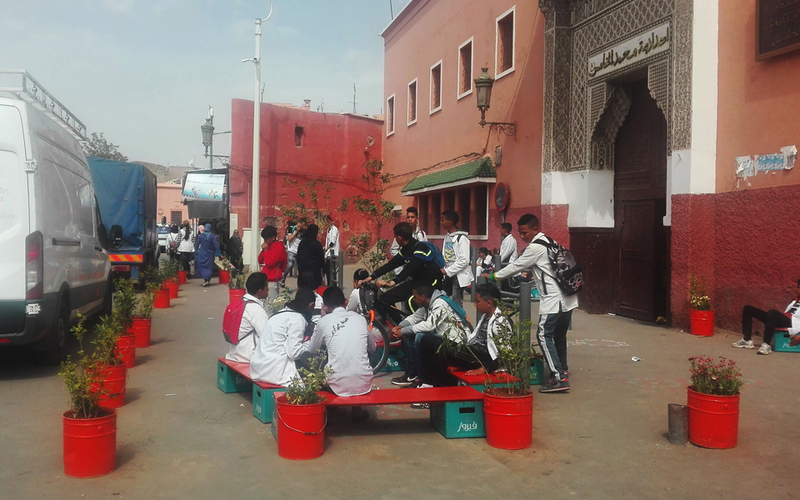 And the new public spaces and activities led to more visitors and “eyes on the streets”. – Crossing streets was unsafe, we made the corners smaller and less wide and made it easier to cross the street.Bike parkings were placed to stimulate cycling. – Many changes weren’t visible, but had an enormous effect. Interquimec and Akzo Nobel Deco Painting took away graffiti and painted most of the houses along the street. Nearly 100 volunteers got a training for painting and used their newly skills to paint walls, houses and streets. During the Habitat week many activities took place in the Ruta de la Experienica and inside Fabrica Ciudad. 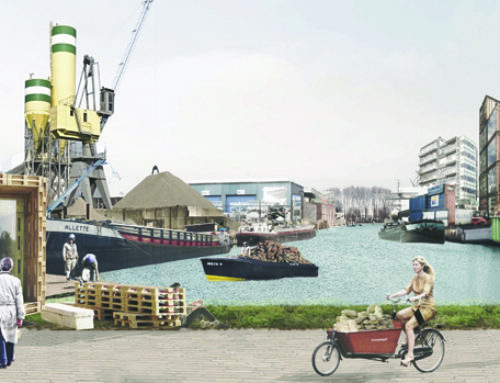 Fabrica Ciudad, a city embassy of Pakhuis de Zwijger, connected city makers locally and from all over the world. 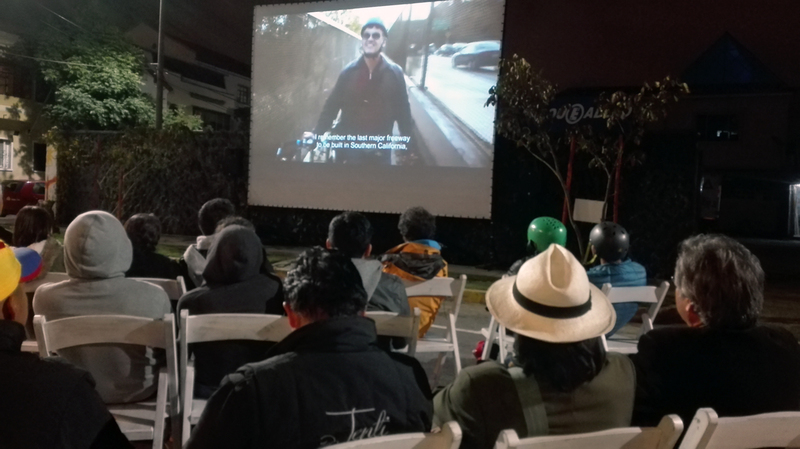 Urban movies were screened each night by Ocho y Medio, bands were performing every evening and at a market local food and drinks were sold. Click here to view the program. The activities were supported by the Dutch Embassy of Ecuador, Peru and Bolivia and the Ministry of Foreign Affairs. 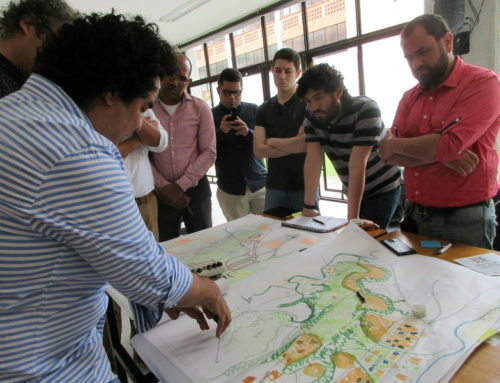 – Students of the university Pontificia Universidad Catolica de Ecuador (PUCE) helped during the project and with the program of Fabrica Ciudad. The opening of the Ruta de la Experiencia was a typical Dutch Street dinner. Almost 200 people joined the event, ate along long tables, enjoyed the music and speeches of the officials such as Jan van Zanen (Mayor of Utrecht), André Veneman (director sustainability Akzo Nobel), Kees Rade (ambassador Sustainable development at Ministry of Foreign Affairs) and the local administrator Alfredo Leon. People were shy at the beginning of the event, but at the end they were dancing. – the neighbours believe again in their own neighbourhood and take care of the public space. 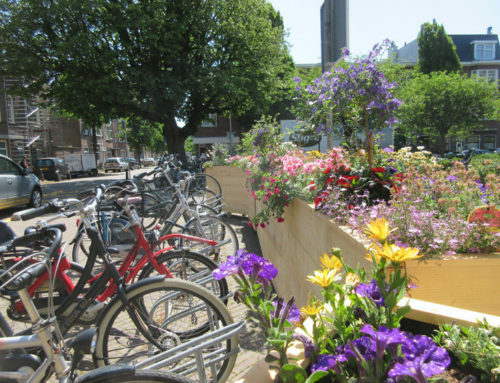 – people were inspired by the opportunities; other neighbourhoods have asked the municipality if they could do the same. – the municipality was studying the possibility to close the street. Our project was the experiment and showed that it can be done. – the municipality would like to continue the project in different areas, because we have shown that with limited resources large changes are possible. Van Vlier Media made a 3 minute movie about the project and process and Human Cities Coalition. The project was handed over to the local administrator and citizens. We hope the project continues and that people stay involved, but some things are already broken or stolen in the first weeks. More informatiom? Take a look at Citiscope or Human Cities Coalition. Anne-Marie Rakhorst, vice-president of the advisory board of Human Cities Coalition wrote an article and also the local newspapers gave updates. The Human Cities Coalition started in Quito with this showcase and continues in Jakarta and Manilla to improve life in slums.